Plans are underwritten by the United States Fire Insurance Company, a member of the Crum & Forster Enterprise. C&F and Crum & Forster are registered trademarks of United States Fire Insurance Company. The Crum & Forster group of companies is rated A (Excellent) by AM Best Company (2015). Fairmont Specialty Insurance Agency, a member of the Crum & Forster Enterprise, administers the plans by handling claims, billing, customer service, and sales. Fairmont Specialty Insurance Agency is authorized to sell insurance in all 50 states and the District of Columbia. In California, plans are administered by FSIA Insurance Agency. See licensing information for details. Hartville Pet Insurance Group is a trademark of United States Fire Insurance Company. Hartville Pet Insurance Group or Hartville may individually or collectively refer to either the underwriter or the administering agency. Visit our Member Center for instant, up-to-date information about your payments, claims, and account information. You love your horse from mane to tail. Only available in NY, NJ, PA, OH, VA, & WI. Your horse is your companion. When it comes to their health, they deserve to get the care they need. 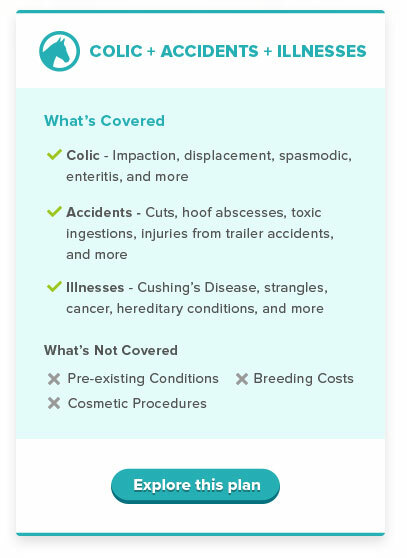 ASPCA Pet Health Insurance plans can help with that as the first-ever insurance plans exclusively for the health of your horse – no mortality insurance required! Companionship is priceless, so the amount you paid for your horse doesn’t determine their eligibility for enrollment. 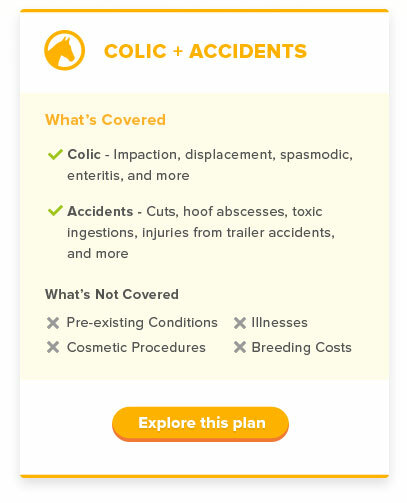 With our customizable plan options, it’s easy to find coverage that behooves your horse – and your life! Colic has many causes. We don’t think you should have to choose which kinds of colic to cover your horse for. Both of our available plans have protection for colic caused by accidents or illnesses, so no matter which one you pick, your colic concerns are covered. 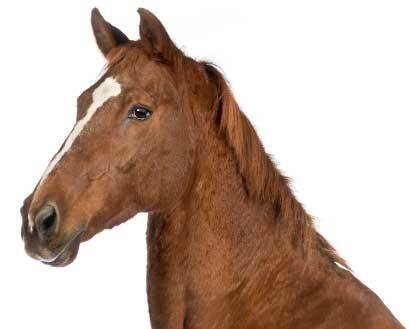 Get a quote for horse insurance. For just a little more per month, you can add Preventive Care to your plan and get a set amount of money back for services that help protect your horse from getting sick, like vaccines, dental floating, and an annual wellness exam. Start coverage before your next vet visit. Get a quote today. forward to providing both of you with our best coverage and service. Ready for a quote? Why of horseshoe are. * Pre-existing conditions are not covered. Waiting periods, annual deductible, co-insurance, benefit limits and exclusions apply. Subject to underwriting. Terms and conditions apply. Preventive Care reimbursements are based on a schedule. Products rates may vary and are subject to change. Products available in NY, NJ, PA, OH, VA & WI. Discounts may vary and are subject to change. More information available at checkout. The ASPCA® is not an insurer and is not engaged in the business of insurance. Products are underwritten by the United States Fire Insurance Company, produced and administered by C&F Insurance Agency, Inc. (NPN #3974227), a Crum & Forster company. Through a licensing agreement, the ASPCA receives a royalty fee that is in exchange for use of the ASPCA’s marks and is not a charitable contribution. C&F and Crum & Forster are registered trademarks of United States Fire Insurance Company. Crum & Forster Pet Insurance GroupTM is a trademark of United States Fire Insurance Company. The Crum & Forster group of companies is rated A (Excellent) by AM Best Company 2018.